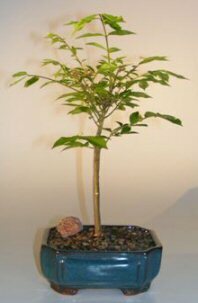 The 'Atlas' is a dwarf form of euonymus and is a very slow grower that has tiny .25" serrated leaves. This euonymus bears small inconspicuous flowers in mid spring and is noted for its bright red foliage in the fall. Deciduous. Keep outdoors. 6 years old, 14" - 16" tall.